Paul Bettany and Elizabeth Olsen in Avengers: Infinity War (2018). Courtesy of IMDb. 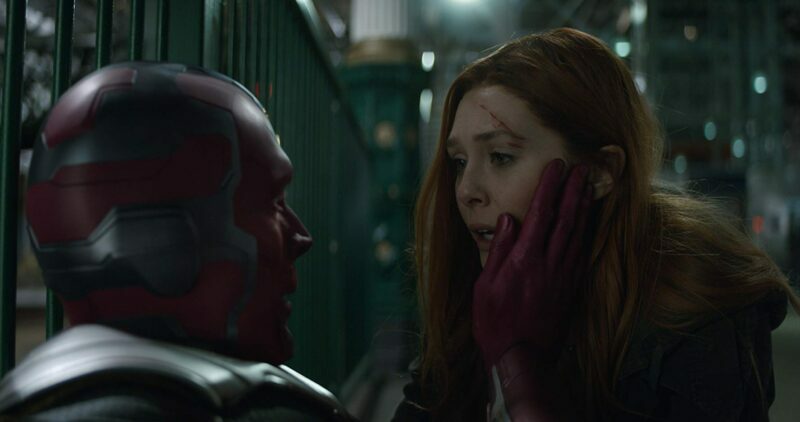 According to Hollywood Reporter, a new Disney+ Marvel series about Scarlet Witch and Vision now has a new writer and a showrunner. Although, there is still no confirmation if the series for the Disney-exclusive streaming service will be developed or which actors are going to star in it, information has been leaked that Jac Schaeffer- who also worked on the script for Captain Marvel and is supposed to work on the script for the Black Widow solo movie-will be working as a writer on the show. Since Disney has already confirmed that Tom Hiddleston will be starring in a series about his famous Marvel character Loki, it is highly likely that Elisabeth Olsen and Paul Bettany will reprise their roles as Scarlet Witch and Vision respectively. While there is no information about the show or its content, there is a long history of their relationship in the comics and also in the MCU that could be used as a basis for the plot. However, like many characters, the destiny of the couple in the MCU after the events of Infinity War (2018) is unknown. We can expect Marvel to keep their usual secretive behavior concerning new projects, but we can also hope that there will be more to report than rumors about this and the other Disney+ series about two other popular characters in the Marvel Cinematic Universe, Falcon and The Winter Soldier. Previous story ‘Star Wars Resistance’ Mid-Season Trailer And More!